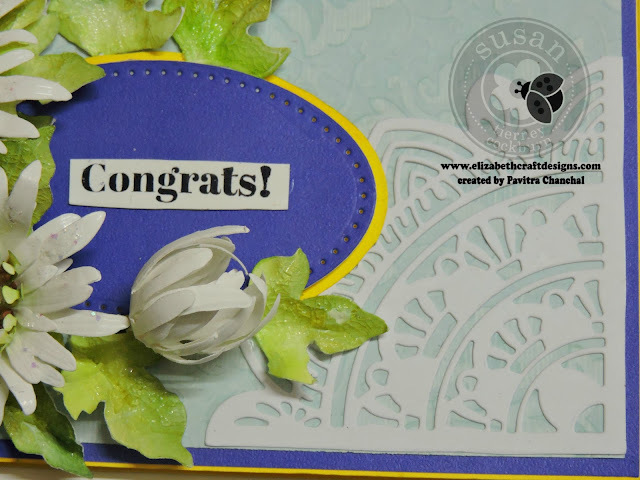 I am back with another project using Daisies from Susan's Garden and new released ModaScrap - Oriental Card die. 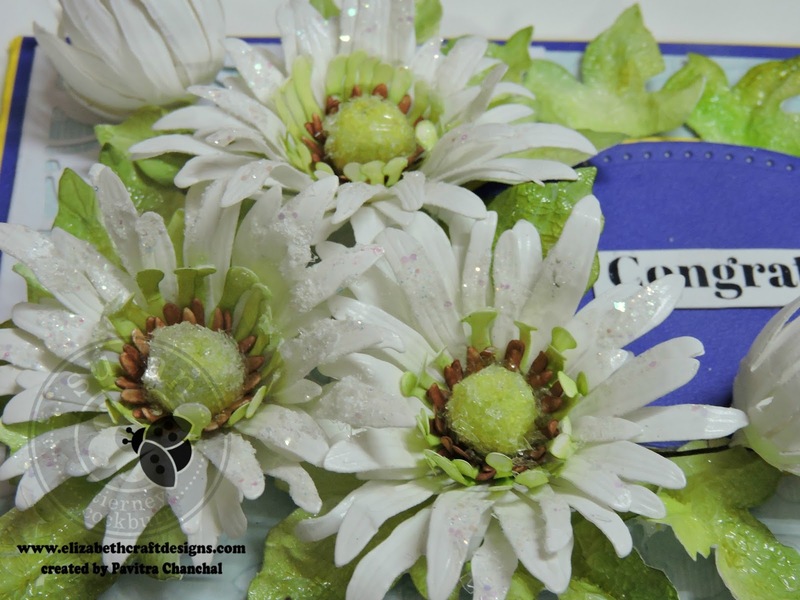 Daisies are what i love creating , earlier i created many cards and canvas with more vibrant background and flowers. 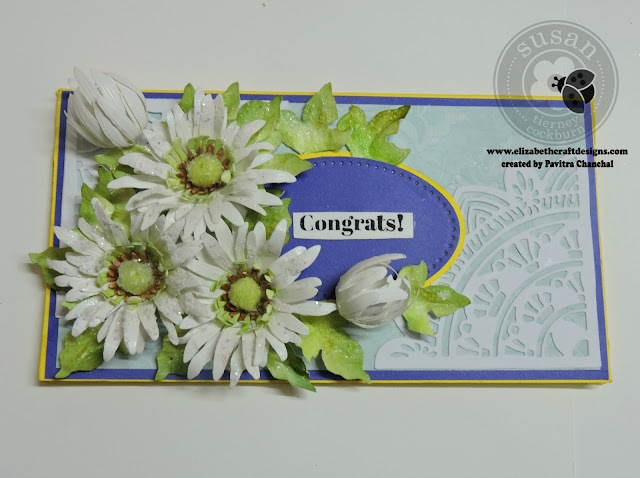 But this time i created white daisies for money envelope ,kept the background very Suttle and let the flowers pop more. 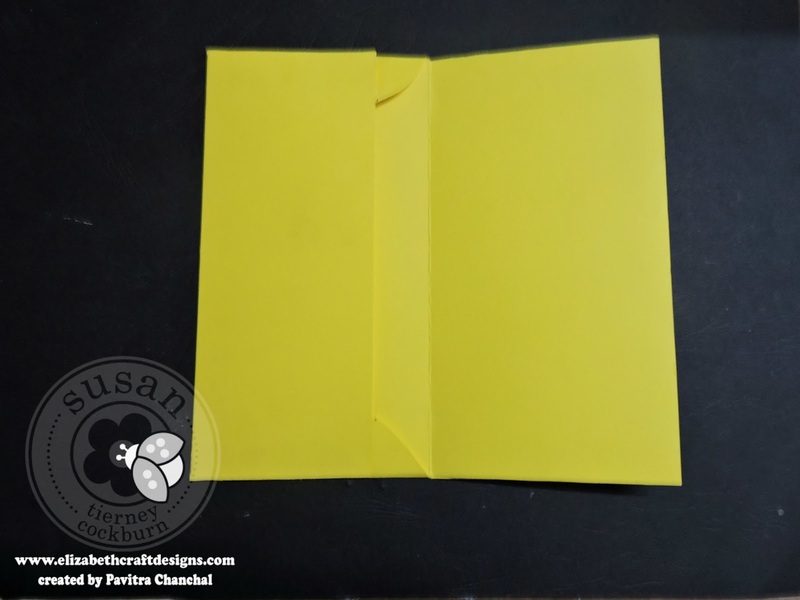 This is how i created this envelope. 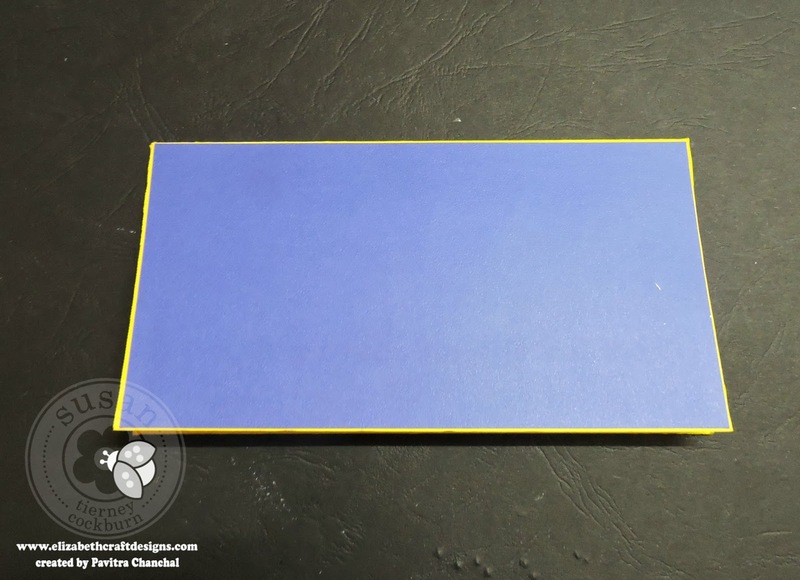 Score 1 inch from both the sides (on 9-1/2 inch side). Trim 1 inch space from both the flap sides leaving the center part as shown in the image. Round the corners of the 1 inch space , apply glue and paste as shown forming a envelope. Cut Soft Finish Cardstock True Blue 6-3/4 x 3-3/4. Cut pattern paper 6-1/2 x 3-1/2. 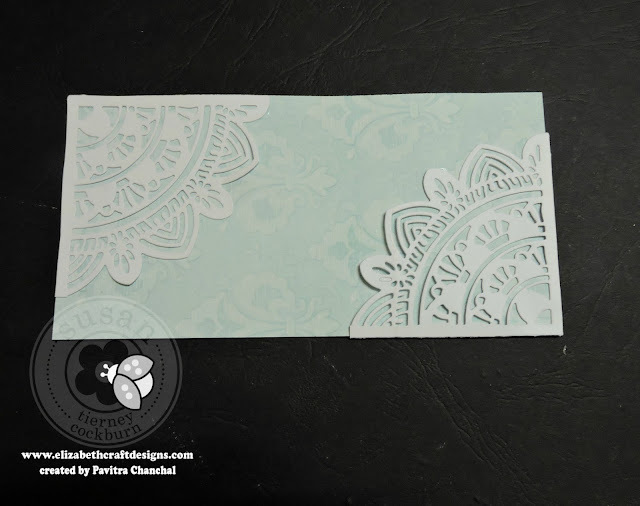 Die cut Soft Finish Cardstock with Oriental Card die. 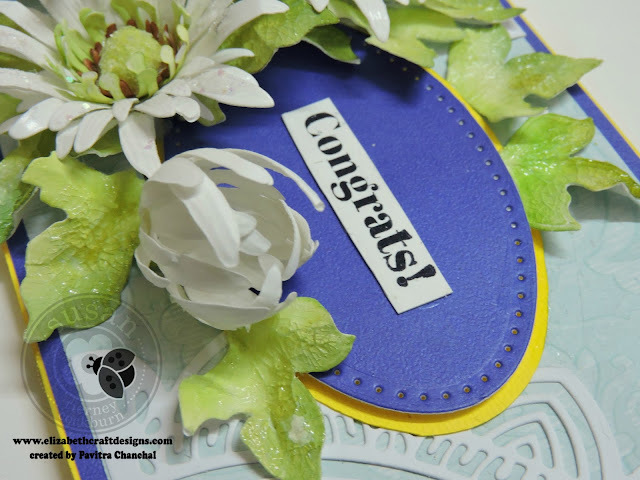 Die cut Soft Finished Cardstock True Blue with smallest Stitched Oval die and mat on yellow cardstock with 3 D foam tape. 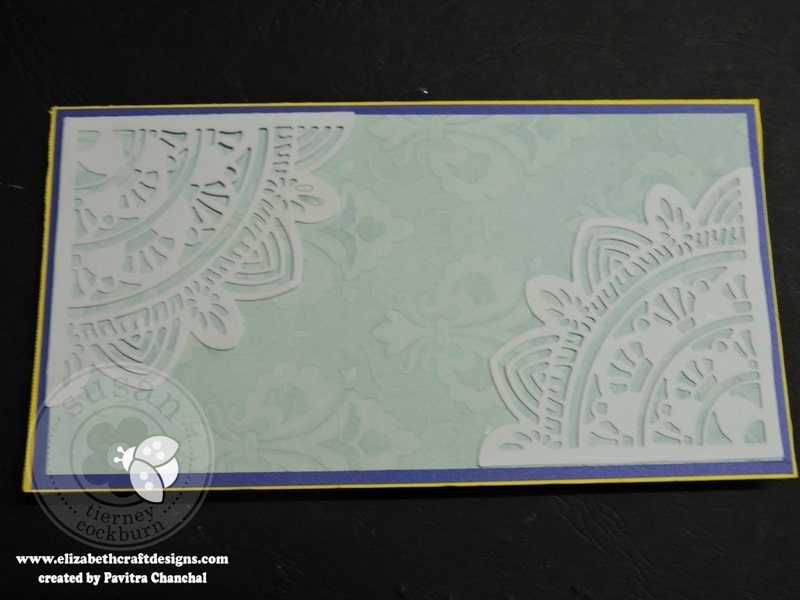 Cut Oriental card Die cut into half and paste on the edges of pattern paper as shown in the pic with Kids Choice glue. 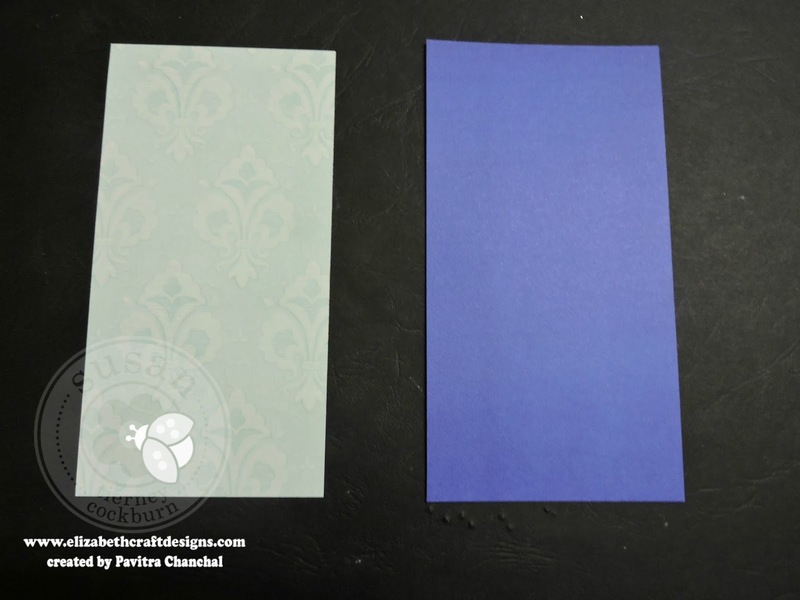 Layer this on top of Soft Finished Cardstock True Blue as shown in image. 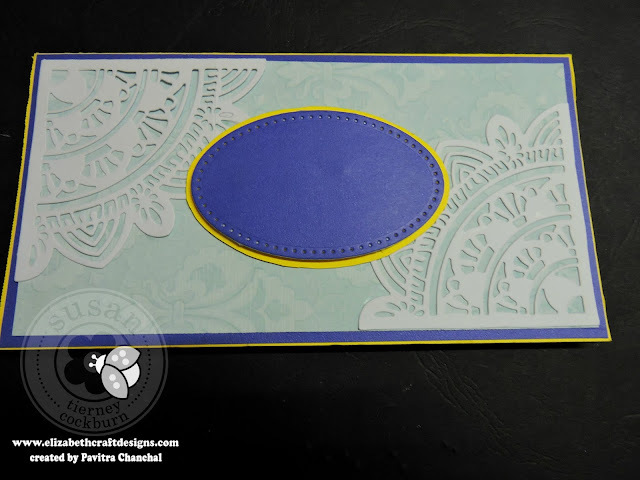 Paste oval cut outs in the center as shown. Die cut Soft Finish Cardstock with GN Gerbera Daisy. Color the flowers and petals with distress inks .Here i only colored the inside parts of the flowers and left the outer petals uncolored. For a more glossy finish i covered the leaves with distress clear rocky candy paint. Shape the flowers using Susan's Tool , Embossing Pad and Leaf Pad. Do the placement as shown. 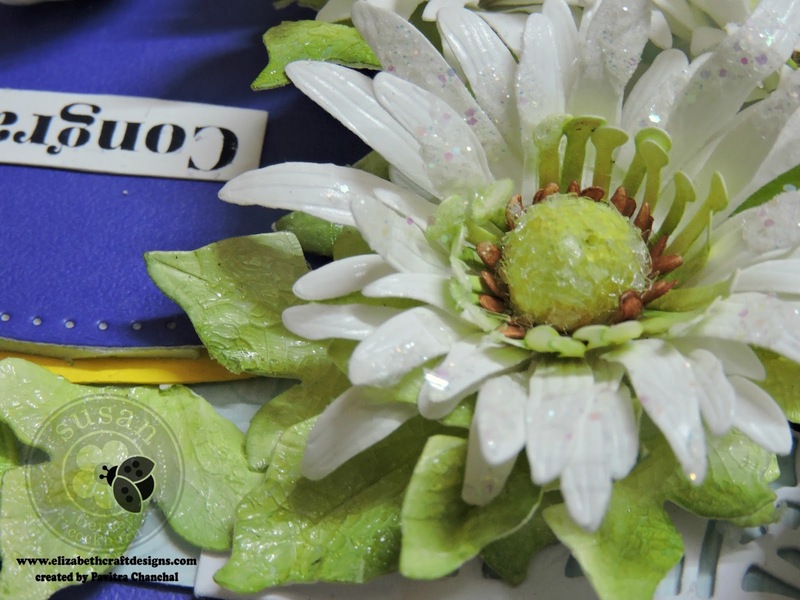 (Optional - Cover the flowers with glitters for more sparkly finish. Stamp sentiments from General Stentiments - Clear Stamps set on white cardstock and place as shown. 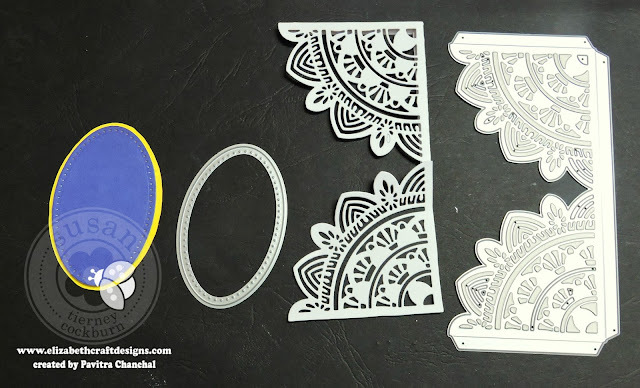 Hope you like my tutorial. For all your craft needs don't forget to visit Elizabeth Craft Designs Store. 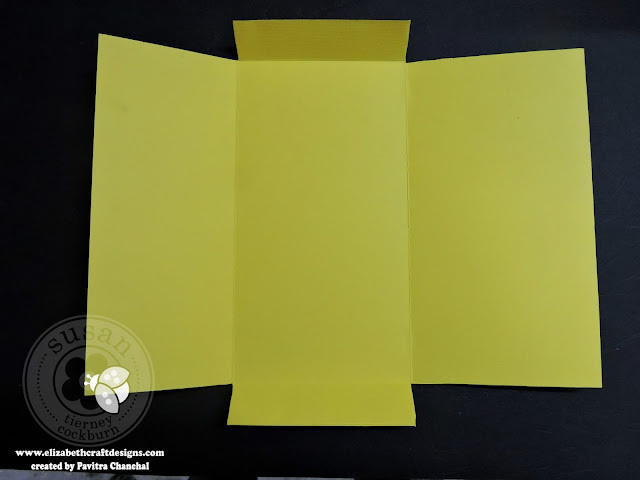 How do you fit this into an envelope without smushing. 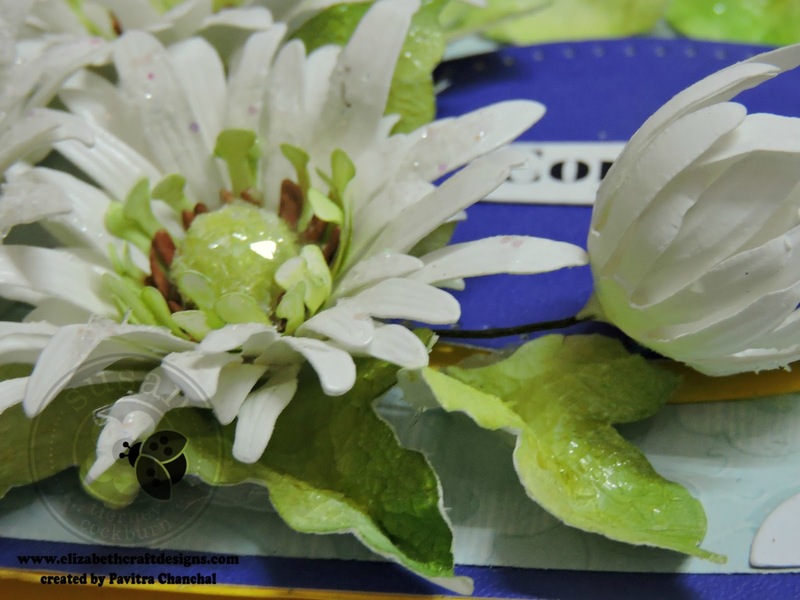 i used silicon glue to set the flowers in.